The DART on Killiney Bay. Belmond Grand Hibernian's 'Wexford' dining car. 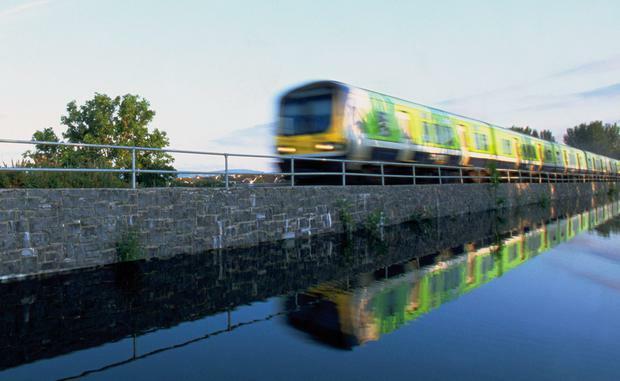 Pól Ó Conghaile picks ten of his favourite train journeys in Ireland, from coastal crackers to city commutes. 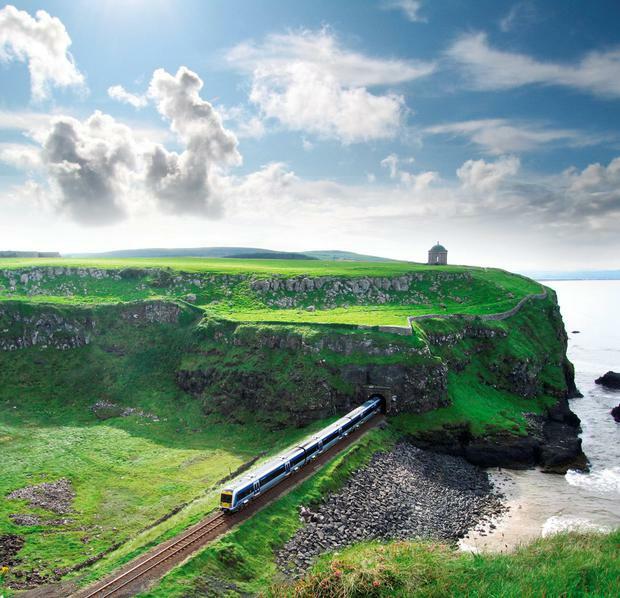 Michael Palin has described the journey between Derry and Coleraine (pictured above) as one of the most beautiful train journeys in the world. The first stretch of that route is, in many ways, the sweetest. The train follows the River Foyle into the countryside, whizzing along the sandy Benone Strand before passing beneath the Mussenden temple through one of the country's longest tunnels. Hop off at the quaint station of Castlerock for a beach picnic or to explore local National Trust properties. It's a coastal cracker. The Railway Preservation Society of Ireland (RPSI) maintains a museum at Whitehead and a host of real-life Thomas the Tank Engines that it uses to operate steam-hauled excursions on a not-for-profit basis. Planned for 2016 are several Irish train journeys including a daytrip between Carrickfergus/Belfast on September 25 (£40/€47 for adults; £14/€16.50 for kids) , a diesel-hauled tour between Dublin and Limerick on October 22 (€75), and the annual Santa special in December (€19pp). Blasts of steam and chug-along nostalgia aren't the only reason tickets are quickly snapped up - dining cars include a full bar serving draught Guinness. During rush hour, Dublin's Dart trains get crammed and sweaty. Off-peak, they transform into mobile viewing platforms along Dublin Bay. And what views! 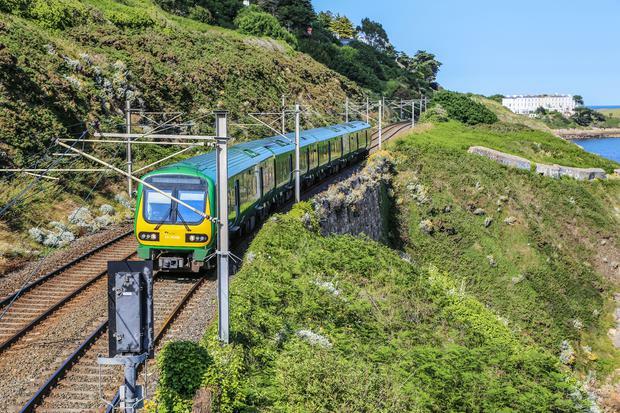 Think of Killiney Bay, clickety-clacking through the Aviva Stadium, or the cliff-hugging coastal section from Bray to Greystones. There are elevated views over the north inner-city (not to mention the gardens of Dublin 4) and no shortage of cafés and coastal walks in both Howth and Greystones. Departing Dublin's Connolly Station, this line passes through the city suburbs as it follows the Royal Canal towards Maynooth. The midlands stretch varies between low-lying countryside, stops in Mullingar and Longford and close brushes with bodies of water such as Lough Bofin, before crossing the River Shannon at Carrick-on-Shannon. The approach to Sligo is from the south - watch out for Knocknarea, atop of which Queen Maeve is said to be buried, before disembarking. Departing Kent Station, the journey to Cobh lasts just 24 minutes, but boasts more scenic gems than the entire Cork-Dublin InterCity route. 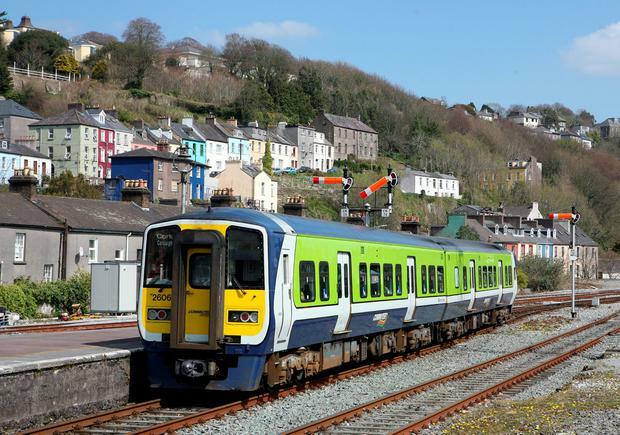 The route makes its way over the Belvelly Channel, with stops including Little Island, Fota Wildlife Park and Carrigaloe, before arriving into Cobh's redbrick station. This port town was the final departure point for RMS Titanic in 1912 - it's just one of the stories brought to life in Cobh Heritage Centre. 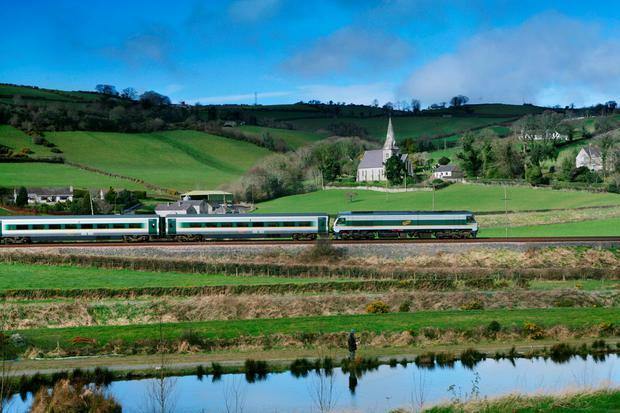 This is arguably the best train journey in Ireland. Pick your highlight: The Avoca viaduct? Killiney Bay? That slow passage along the waterfront in Wexford town? Michael Portillo even travelled the tracks for an episode of BBC2's 'Great Railway Journeys' series. The train terminates at Rosslare Europort, but I'd recommend disembarking at Wexford for a mosey, before catching the return trip. It's a small train. And a small track. But the Waterford & Suir Valley Railway is a big idea - a community heritage project taking passengers for an evocative jaunt along the old Waterford to Dungarvan line. 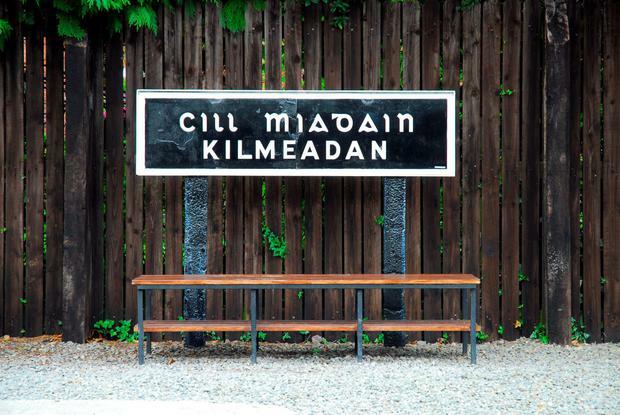 The station is Kilmeaden, the ticket office is an old train carriage and several dinky carriages are tugged along a hidden stretch of the River Suir by a Simplex locomotive that helped excavate the Channel Tunnel. The service re-opens for the season in May. Viaducts (and the views from them) are the scenic highlights of this inter-city route jointly operated by Northern Ireland Railways and Iarnród Éireann. After Malahide in Co. Dublin, keep your eyes open for two other viaducts, one crossing the River Boyne at Drogheda and the other, the 18-arch Craigmore Viaduct, stretching a full quarter-mile through Co. Armagh countryside. The Wi-Fi is very patchy, but parts of the trip are beautiful. 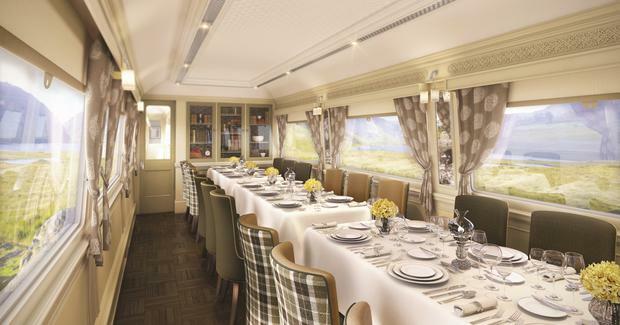 The Belmond Grand Hibernian, which launched from Heuston Station this August, could be a contender for one of the world's great train journeys. Operated by the same company that runs the Venice Simplon-Orient-Express, the Grand Hibernian is operating two, four and six-night itineraries around Ireland starting from €3,160pp - including meals, drinks, entertainment and excursions. 20 opulent, en-suite cabins, two dining cars and an observation car have been refurbished at specialist outfitters Mivan Marine Ltd. in Belfast. Similar to the mountains and charming arrival of the Mallow-Killarney trip, the best is kept for last on this Inter-city staple. 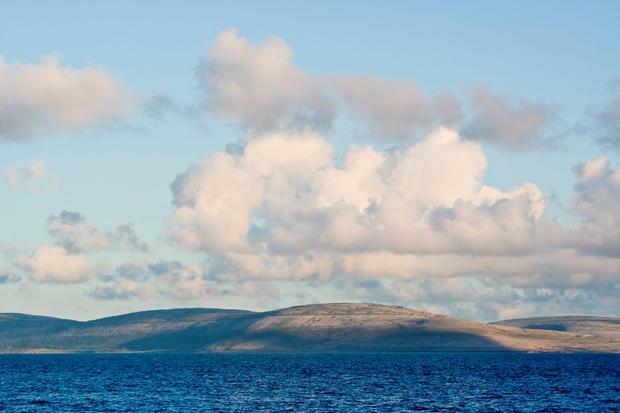 After swinging past Oranmore, the train hits a coastal stretch along Galway Bay where, on a good day, views stretch as far as the hills of the Burren (above). Prior to that, the gorgeous iron railway bridge over the River Shannon at Athlone is an engineering marvel - it dates from 1850 - and the boggy midlands bring their own, slow-burning charm, before the train crosses Lough Atalia and lands passengers at Eyre Square. NB: All prices subject to change/availability. This story has been updated to reflect price and timetable changes.